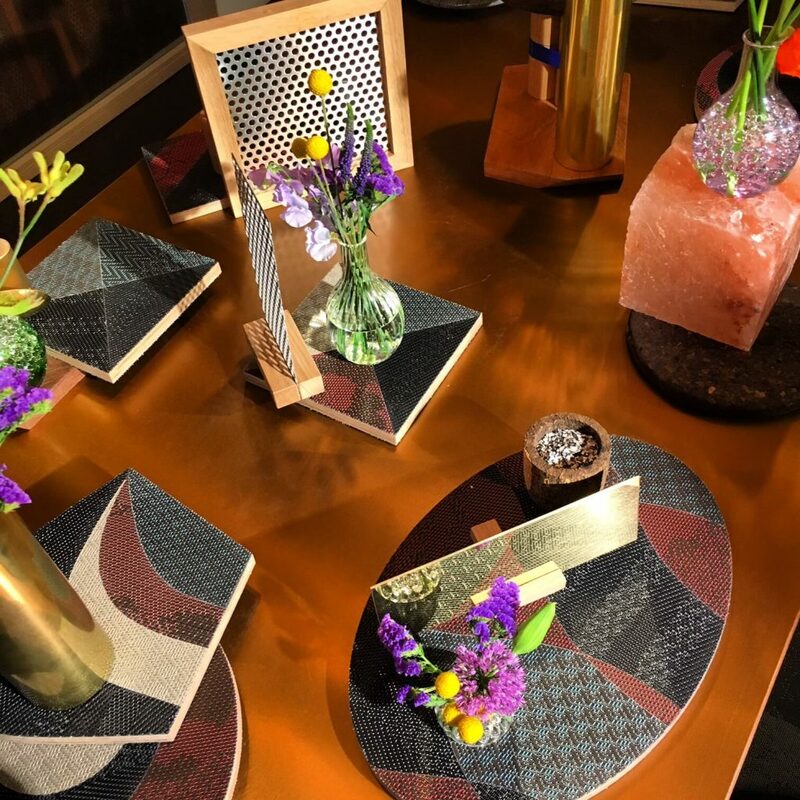 Objects and volumes such as marble slabs, metallic pieces, and bespoke glassware filled with colourful floral arrangements were interrupted by contrasting shapes made from Bolon By You-clad hardwood boards as part of the interactive still life sets at An Evening By You. Tack Studio produced an exclusive evening of still life photography and experimental food concepts designed by Jacopo Sarzi for Bolon at their showroom in Clerkenwell last week. An Evening By You celebrated the launch of the Bolon By You collection, as well as the new 2016 edition of Projects We Love. Our event concept invited guests to interact with materials and textures incorporating food, drink and Bolon By You flooring in the setting of a large feast, inspired by Dutch still life paintings.